Here’s an easy recipe to use up any cauliflower that you may have sitting in the refrigerator. This garlic, lemon juice and salt/pepper combination turns this sometime unpopular vegetable into a tasty side dish for the family. Easy and quick to make. Even the children can help assemble the dish together. Place the cauliflower on a cookie sheet or large casserole dish. 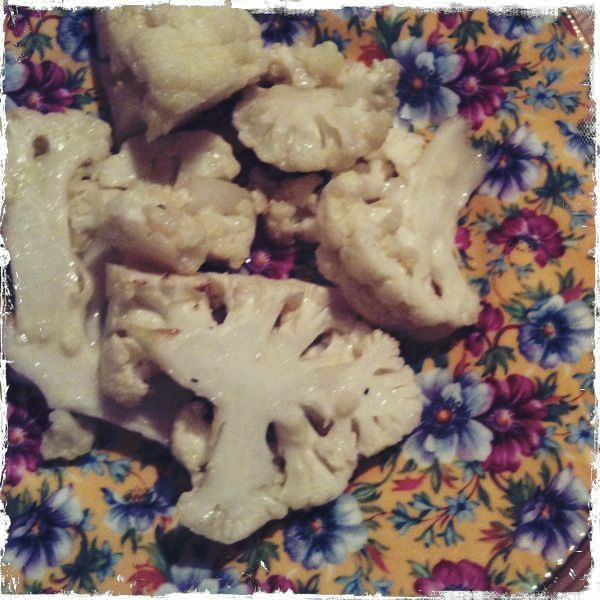 Drizzle cauliflower with olive oil and sprinkle the garlic, lemon juice, salt and pepper over top. Place in the oven and cook for 15 minutes. Occasionally stir. Bake for 15 minutes.